Before we start working on our bounce rate, we should understand what bounce rate is. It is the percentage of visitors who visit your website and leave without viewing any other pages on your website. In the Google Analytics of your website, there will be a percentage for your website. For instance, if your website’s bounce rate is 80%, then it means that 80% of the people who come to your website leave after only viewing the page they entered on. This boils down to the fact that your website is not retaining its visitors. It is either that people are finding what they want on your website but not anything else or that they not finding anything interesting at all. You need to make sure that once the visitors land on your website, they are drawn to visiting more pages on your site. A high bounce rate is considered as a measure of your site’s incompetence, and you need to improve the content and usability of your website pages. If you can lower your bounce rate by improving the contents, you will see that there is a substantial improvement in conversion rates. Nevertheless, Google and all other search engines want to provide accurate and relevant information as possible to the visitors. If the visitors ignore your site, then the search engines will notice it and that will obviously lower your website’s rankings. Therefore it is important to reduce the bounce rate and improve conversion. But, this process should start from the planning stage itself. A reduced bounce rate is a sign of online success for which every site owner should aim for. 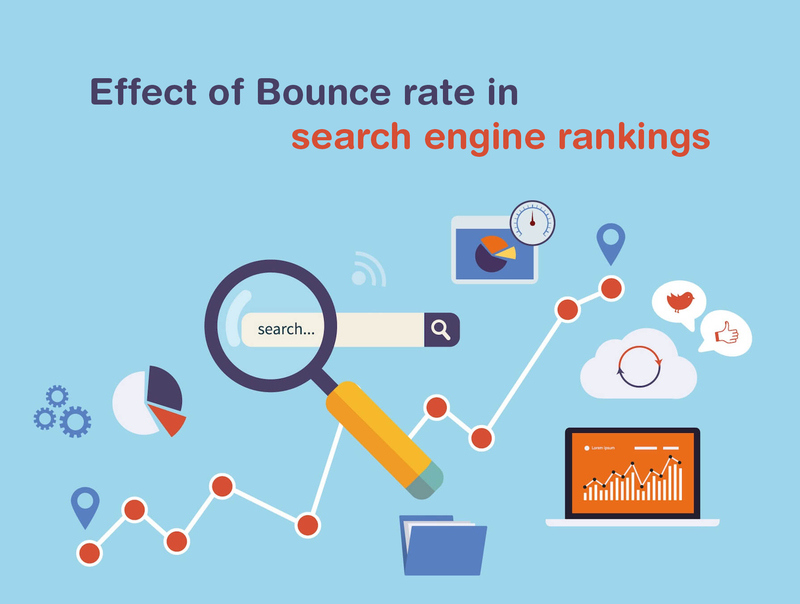 How to improve your website’s Bounce Rate? Now that you have learned what is meant by bounce rate and how it affects your website’s rankings, the key question is how to improve your bounce rate. Here are some ideas! Include more links: You should add more links to pages in your website within your content. Go beyond just product pages: Someone may not be ready to purchase a product until they know more about it. Hence, instead of just directing them to the sales copy, you should include some links such as product manual, how to use guides, product review, etc. It may keep the visitor long enough to buy your product. Add links to the contents of your website to your sidebar: If there is a sidebar that will remain throughout your website, then include links on that sidebar as well. You could also have a “first time guide” for new visitors, most popular products, and so on, all of which would attract visitors more and more into your website. Improve your content: If you notice that some of your contents are not just high bounce rates but also a very low average time on site, then it might be an issue with the content of your website. Your website may not be giving what the visitor wants. Review the pages on your website with a high bounce rate and low average time on site and look at ways to provide more information that would keep visitors on the page long enough. Last, but not the least, even if you can’t keep visitors on your website, you can do your best to ensure that they will return to your page by giving them links to your social media profiles, newsletter, etc. If they become a fan of your Facebook page or start following you on Twitter, then you still have a chance of bringing them back you.